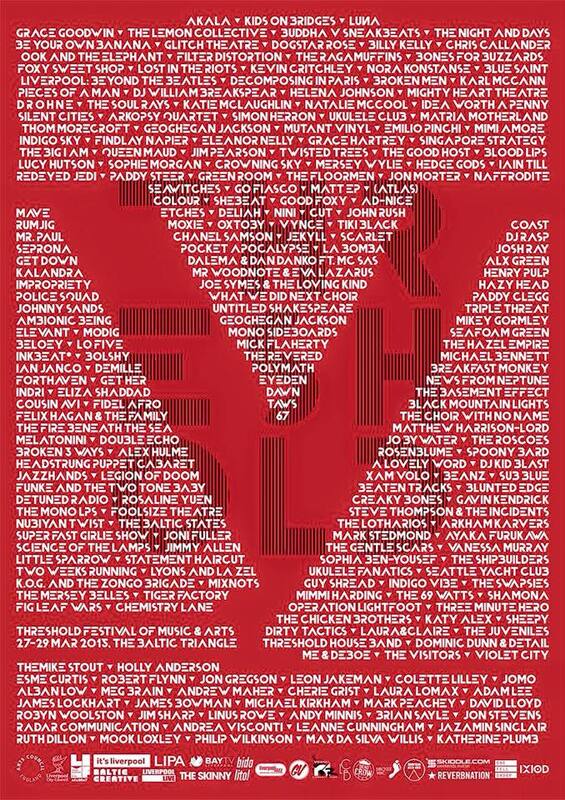 Having attended Liverpool’s Threshold Festival in 2014 it was immediately a priority on the Popped Music festival calendar for 2015. This year’s festival is set once again in Liverpool’s creative hub of the Baltic Triangle and will feature and celebrate the best of grass roots and beyond in areas such as music, art and also performance. There will be unusual venues as well as secret pop up happenings across the three day festival. Because the festival is SO exciting for us this year we’re running a preview on each day so that we can give a little more focus on a few acts. Tickets are on sale now £20 for a full weekend or £12 for a day ticket, clickity click here. Also check out this neat and full lineup preview from our friends Get Into This here!